The Appraisal Standards Board has published the Third Exposure Draft of proposed changes for the 2020-21 edition of the Uniform Standards of Professional Appraisal Practice(USPAP). The draft proposes a reporting model that reduces specificity without diminishing USPAP reporting requirements.Do you have a comment? Please send your opinion! PUBLIC MEETING:Listen to discussions about the exposure draft proposals, and updates from The Appraisal Foundation, Appraiser Qualifications Board, and the Appraisal Subcommittee. The Appraisal Institute on April 18 announced that its 2017 Annual Report is now available. The report highlights AI’s accomplishments during the previous year in education, professional services, international activities, government relations, meetings, financial performance, professional practice and other areas. I thought this was a great article on regression that I wanted to reprint from WorkingRE. You can find the link to the entire article below. 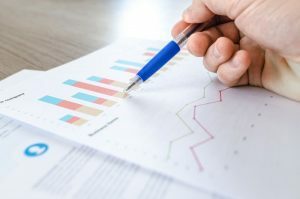 Editor’s Note: In life after Collateral Underwriter (CU), appraisers are eager to understand how they can create statistical support for their adjustments and value results. In this story, author James Swartz provides a good primer for understanding regression and appraising. By James A Swartz, PhD. Hey Fannie, It’s Not a Comp, It’s a Sale! Something’s been gnawing at my craw ever since January when FNMA’s wonderful CU was unleased to the world. And before that, which still continues, is the AQM process they still use to judge the work of appraisers. No one else has written about this, or even mentioned it, so I will: It has to do with the word “Comp” which is used liberally by FNMA. In FNMA’s world, it’s any property that they obtain, either by their vast AVM process which examines millions of property transactions, or properties that have been extracted from appraisal reports submitted by appraisers… yes, your work. In their fuzzy logic, it’s a “Comp” considered for your report if they say it is. It is not! A true “Comp” is a property viewed and/or analyzed by a real living, breathing, mirror fogging appraiser who compares that sold property against the subject property in terms of multiple features, characteristics and amenities. It is not determined by an AVM or algorithm within the vast bowels of FNMA. Until the property has such analysis done by an appraiser, it is merely a SALE…it is not a “Comp”. Within that news release is this quotation from a VP at a mortgage lender: “The collateral information that CU provides is invaluable and simply staggering,” said Breck Tyler, Executive Vice President, Trustmark Mortgage Services. I want to repeat what I said above in case you missed the point: A PROPERTY IS NOT A “COMP” UNLESS YOU DETERMINE IT IS AND INCLUDE IT IN AN APPRAISAL REPORT. Otherwise it’s just a “sale”. I’m also asking members of appraisal organizations and associations to communicate your concern about this lie perpetrated by FNMA directly with them, and ask FNMA to change the word “Comp” used in their CU Reports, news releases, instructional materials, etc. to “Property Sales” so that there is no misunderstanding about the significance of this issue. If organizations and associations won’t do that on behalf of appraisers, then we might as well kiss the profession of residential real property appraising goodbye. Because if a list of ‘sales’ are considered “Comps” then an actual human appraiser won’t be needed to provide supportable property analysis and market value reports. So, you may distribute this message to anyone. The Federal Housing Administration recently announced changes to its appraisal policies found in the Single Family Housing Policy Handbook, or HUD Handbook 4000.1. FHA appraisers must be in compliance with these changes by September 14, 2015 (note the previous compliance date was June 15, 2015). To help get you started on the changes, we compiled the most frequently asked questions about the new FHA Handbook 4000.1. All of the questions came from students attending our Live Webinars: HUD Handbook 4000.1: Changes, Big and Small. Is the new FHA Single Family Housing Policy Handbook 4000.1 intended to replace current HUD handbooks, including 4150.2? Handbook 4000.1 is intended to supersede several HUD Handbooks in their entirety, including 4905.1 – Requirements for Existing Housing One to Four Family Units, 4150.2 – Valuation Analysis for Single Family One to Four Unit Dwellings, and 4240.4 – 203K Rehabilitation Home Mortgage Insurance. What is the effective date for the requirements of Handbook 4000.1? The requirements in Handbook 4000.1 apply to case numbers assigned on or after September 14 2015. In industry conference calls, HUD officials have encouraged appraisers and mortgagees to begin using the new Handbook immediately, although they are not required to do so until September 14. Are appraisers required to complete a three-year sales history on the comparable sales in FHA appraisals? One of the significant changes to FHA policy is the requirement for appraisers to complete a three-year prior sales history of the comparable sales and listings used in the appraisal. This is outlined in the Appraisal Report and Data Delivery Guide issued by HUD. In addition, two sources are recommended for this prior sales history search – local MLS and local public records, at a minimum. How should an appraiser handle the prior sales history requirement in non-disclosure states? Has HUD/FHA changed any of the requirements for observing the attic and crawl space? No; the requirements for an appraiser to observe the crawl space and attic have not changed. FHA prefers that the appraiser make a full entry into the attic or crawl space, but if that is not possible, a minimum entry of “head and shoulders” is acceptable. If the attic and/or crawl space are not accessible, the appraiser must state that fact in the appraisal report. The mortgagee will determine property eligibility. Is it true that FHA has removed the fall distance requirement for electric power line towers and other towers? Yes! The requirement to check fall distance no longer exists. An appraiser is still required to notify the mortgagee if the dwelling or related property improvement is located within an easement or if they appear to be located “within an unsafe distance” of a power line or tower. In addition, neither power transmission lines nor local distribution lines may pas directly over the dwelling, any structure or related property improvement such as pools and spas. Is it true that the new Handbook 4000.1 contains a requirement for appraisers to operate the appliances in the subject property? Yes. The Handbook states “Cabinets and built-in appliances that are considered Real Property must be present and operational.” The Handbook goes on to state, “The Appraiser must operate all conveyed appliances and observe their performance.” In industry conference calls, representatives from HUD have reiterated this requirement. What is the appraiser’s responsibility regarding MPR repairs? The appraiser is responsible to observe, analyze and report all repairs necessary for the subject property to meet HUD’s minimum property requirements (MPR) for existing properties or minimum property standards (MPS) for new construction. In addition, the appraiser must provide a cost to cure and a photograph of the deficiency. The mortgagee (i.e., the underwriter) will determine which repairs are required. The mortgagee has the authority to require additional repair items, and/or to waive any or all of the appraiser’s identified repair items. If you have more specific questions about the NEW FHA Handbook 4000.1, check out our upcoming Live Webinar: HUD Handbook 4000.1 Changes, Big and Small or enroll in an online or live CE FHA seminar today. Timothy McCarthy filled out an appraisal form noting UAD changes that will need to be made. Hopefully everyone at this point has updated their appraisal software with UAD functionality, but this is a nice reference to double check your information.